Here at Port Moresby General Hospital, the final patient yesterday was an 8 and a half months old, Emanuella. 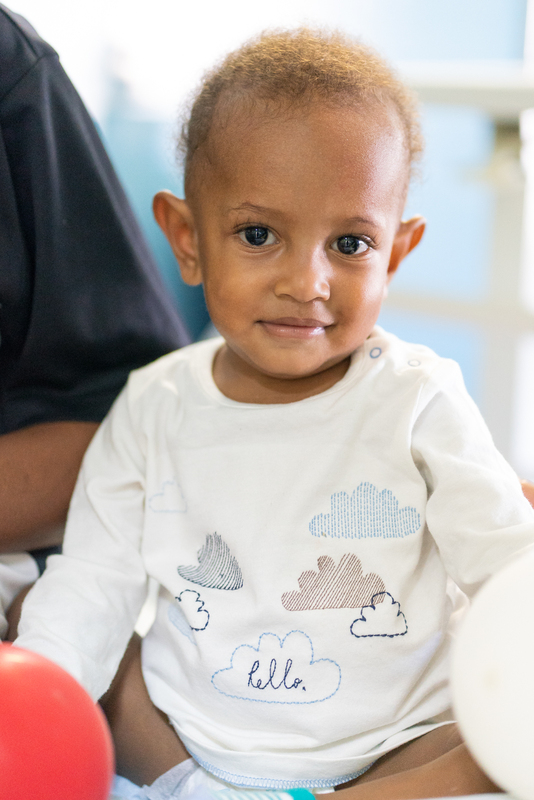 Emanuella by all reports has kept the staff busy, being very spritely and keen to keep on moving all night after surgery. The staff have spent the majority of the night working on trying to keep her still. It won’t be too long before she’s up and moving with the rest of the patients. 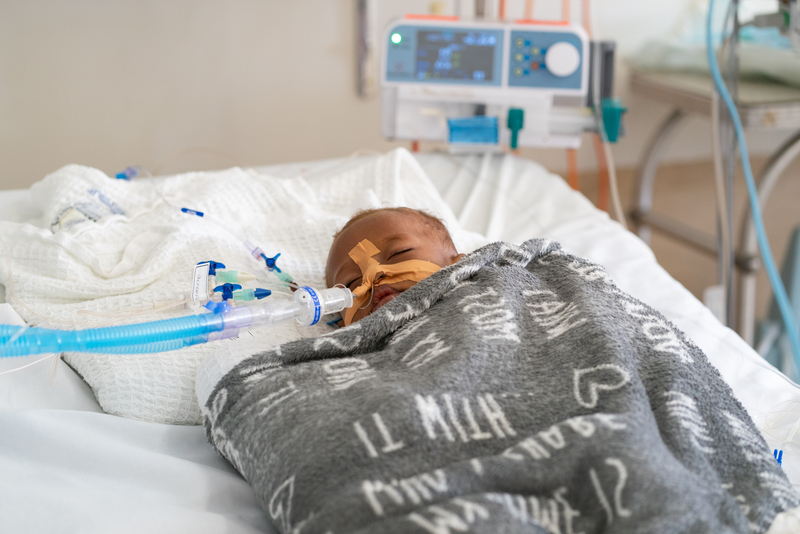 The first two operations for the week are up and about on the ward with Issac and Rhianna blowing bubbles, playing with balloons and walking around waving to the intensive care unit as they walked out of it yesterday. Recovery sure is tiring work but these two make it look easy! 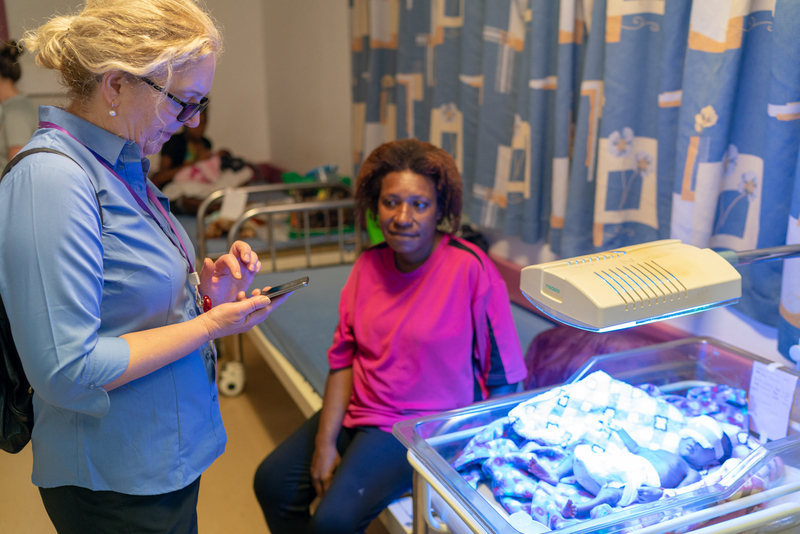 The local nursing staff, assisted by Open Heart International (OHI) ward nurse Svatka are keeping a close eye on their progress and by all reports are doing fantastically. Every trip OHI staff like to bring along some donations for the local patients. This year saw Renee and Svatka visit the neonatal ward with donations from the team. 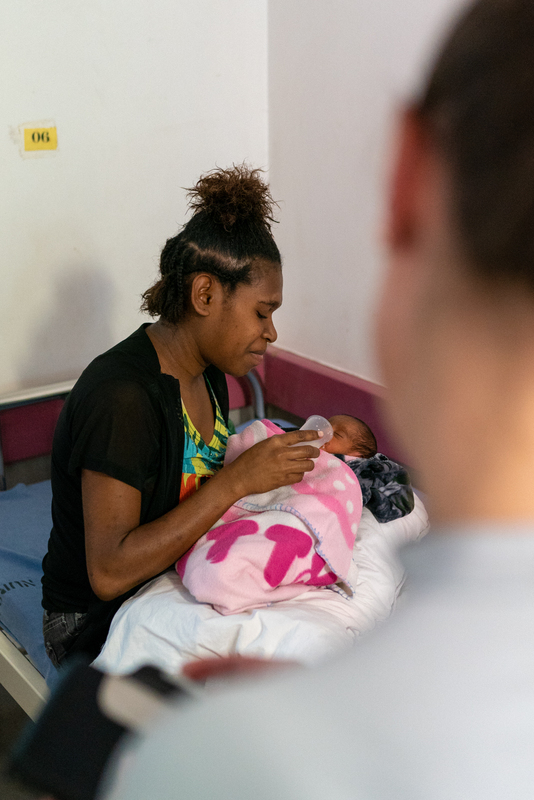 Everyone in Port Moresby is made of some strong stuff with mothers nursing babies as little as 900grams. With a long road to recovery ahead for baby and mother a very small team of medical and nursing staff work long hours to make sure they have as much care as they need. Everything is ticking along like clockwork with the majority of the local staff having worked with OHI previously so have the skills and knowledge to know how to get the job done quickly and efficiently. With another two surgeries wrapped up today the team calls it a night and gets some sleep in for another day of life saving open heart operations.